Michael Rooney, a Belmont motion pictures student, recently won Honorable Mention in the Best Student Director and Best Fantasy Short categories in the IMDb June Independent Shorts Awards. 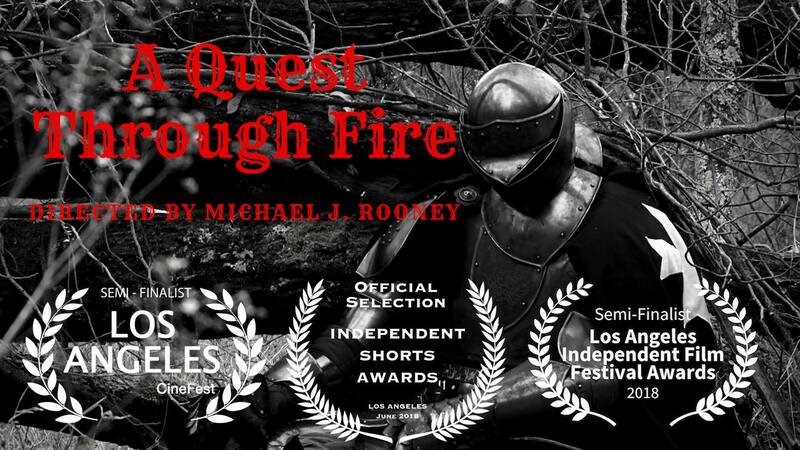 His winning film, “A Quest Through Fire,” is a medieval drama that follows a young knight tracking a dragon through the woods whilst having harrowing visions of his past. The project, which can be viewed on YouTube, was filmed in Nashville in February. IMDb Award Listing Qualifier’s Independent Shorts Awards (ISA) is a monthly international film competition, with an annual live screening and awards event in North Hollywood, California. Each month, the submitted projects are privately screened and judged by a random team of invited experts from academia and film industry, against a high standard of merit. The monthly winners are automatically qualified to compete and be screened at the ISA annual event.